It's a long weekend here in Canada, and the weather looks like it's going to be a warm one! What will you be up to? Feel like whittling away on some wood? I love this little project I found today from Kate of Minieco out of the UK. She says it's super easy; just a few wooden beads and a dremel sanding tool and you're on your way! She even made a few necklaces out of them. Sounds like a good weekend project to me. Click here to get the how-to! And happy weekend project making! ahhh...what a sweet set of beads...love the soft colours! Have a happy Canada Day weekend...so exciting we will be getting sun, eh! These beads are gorgeous! Happy Canada Day! totally gonna make these soon! 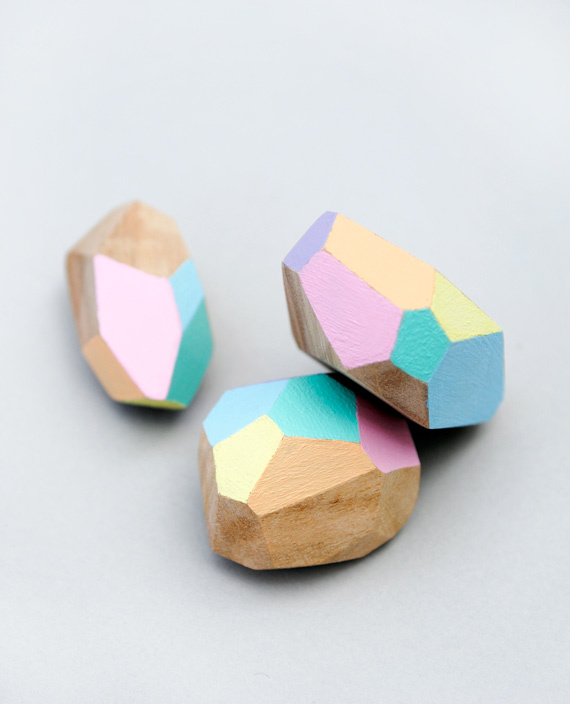 Oh I love these, I will have to get a whittlin' away.